The 9 Best Cooking Classes in North Dakota! 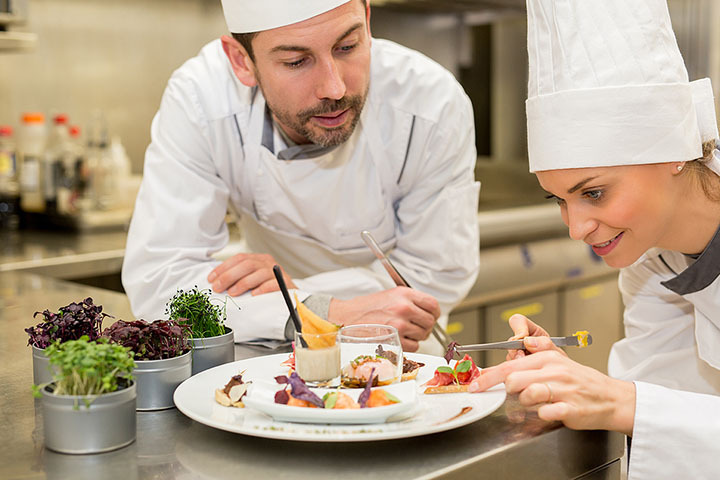 If you’ve ever been interested in advancing your culinary skills, North Dakota is home to an abundance of classes and schools offering several-hour or multiple-week courses in just about every kind of cuisine! Even the most experienced cooks need to improve their skillset now and then. Whether you’re a beginner or a cooking aficionado, check out these excellent cooking classes in the state! Karmin’s Kitchen Table is your one stop shop for everything culinary. In addition to a full range of kitchen machines and gadgets, Karmin’s also hosts a variety of cooking classes for both children and adults. Recent topics include knife skills, movie night munchies, and pairing the perfect wine with your meal. Bismarck State College sponsors a variety of classes under the “Personal Enrichment” umbrella. Cooking classes focus on nutritional eating and features topics that apply to both meals and snacks. A self-proclaimed “culinary superstore,” Gourmet Chef offers a variety of equipment and gadgets that can be purchased in coordination with its wide range of cooking classes. Distinct classes are held for adults and children. Adult topics include sushi making, creating the perfect pasta meal, and how to enrich your meals with herbs and spices. The University of North Dakota Wellness Center offers a variety of cooking classes for both students and members of the community. The focus is healthy eating and topics include crockpot meals, cooking with the kiddos, cultural cooking, and kitchen basics. Fargo has a few cooking class options, one of them occurring at Square One Kitchen. The restaurant provides cooking classes and cooking parties in addition to a wide range of catering services. Classes are tailored for adults, children, and families. Cooking parties can be used as a creative way to celebrate birthdays or other special events. Family Wellness is a non-profit company dedicated to helping people improve their nutrition and overall health. In addition to physical activities, it also offers cooking classes that focus on cultural cooking, nutritional cooking, crockpot meals, and holiday dining options. The Family Impact Center, a part of Lutheran Social Services, is a one-stop shop for those in need of assistance or those looking to improve their lives. Cooking classes are available and focus on ways to improve personal health and nutrition. Classes are held for both adults and children. Adult Community Ed offers a variety of personal enrichment classes ranging from exercise and healthy eating to music and hobbies. Cooking classes are generally focused on adults and families, and aim to help students change destructive habits and implement positive ones instead. Classes that focus on specific cultures is also available. If you are looking for individual classes, Nancy is considered one of the best. A certified culinary instructor, she teaches classes ranging from incorporating fruits and vegetables into a balanced meal to knife and basic kitchen skills.